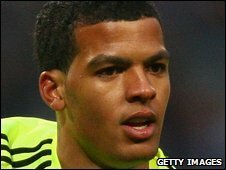 Southampton have signed Chelsea midfielder Jacob Mellis on loan. The two clubs have agreed a deal which will see the 18-year-old stay with Saints until 2 January. Mellis, an England Under-19 international, will go straight into the squad for Saints' League One trip to Huddersfield on Saturday. He is Alan Pardew's fourth signing since taking over, following the arrivals of Dan Harding, Graeme Murty and Rickie Lambert. Meanwhile, Saints keeper Tommy Forecast, 22, has joined Grimsby on a month's loan.